STRINGS originally began life as a short story I wrote called “The Good Girls,” which I released on Amazon in the summer of 2012. It quickly became one of my best selling stories, despite my worry over how incredibly dark it was. A few days after the story came out, a friend of mine sent me a message to let me know how much he liked it, and how it would make a great full-length novel. This sent me on the path of an immediate brainstorm session, where I decided to write an interwoven tale involving the story’s three main characters, Nina, Ramon, and the Madam following the events that took place in “The Good Girls.” The project immediately took hold of me in a way I hadn’t experienced before with a novel. It seemed the story for each character was fully formed in my mind before I even wrote it, so the writing itself was largely effortless, though it didn’t come without its drawbacks. Because STRINGS (and the short story on which it is based) is by far the darkest and grimmest piece of writing I had ever done, I found myself descending into some pretty dark places as I explored the lives and minds of these characters. I actually kind of checked out of life for awhile in a way that I hadn’t in previous projects, which do take up their time but don’t all-out consume me. I didn’t eat much. My sleep was non-existent. I had to remind myself to shower. My day to day was on autopilot while I lived and breathed this book. Even in re-reading the piece during the production process, I couldn’t quite guess where a lot of this information about these characters had come from. It was almost as if I was receiving a telegraph from the ether or my subconscious, and when it was finished, I lived in a bit of a haze for about six weeks where I wrote absolutely nothing and played Candy Crush for hours a day, almost like my brain needed to flatline for a bit in order to repair itself from the experience. I wanted to tell a story that forced people to identify with truly ugly people. I wanted to make readers squirm and feel uncomfortable. I refused to pull a single punch so that when they finished reading the book, they would feel just as beat up as I did after writing it. Maybe it’s a bit sadistic, but the act of writing it was equally masochistic. 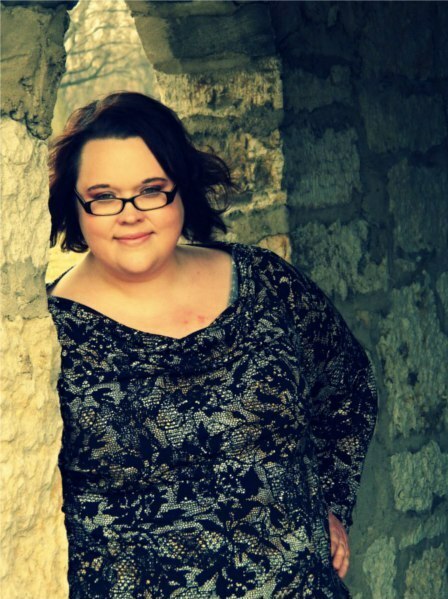 Allison M. Dickson is a writer of dark contemporary fiction living in Dayton, Ohio. Though STRINGS is her debut novel, she has been writing for a number of years, with several short stories (including “Dust” and “Under the Scotch Broom”) available on Amazon. Two of her stories were featured The Endlands Volume 2 from Hobbes End Publishing. In 2014, Hobbes End will also be releasing her dystopian science fiction novel, THE LAST SUPPER, and she is independently producing her pulpy dieselpunk noir novel, COLT COLTRANE AND THE LOTUS KILLER to be released in November of 2013. When she isn’t writing, she’s one of the co-hosts of the weekly Creative Commoners podcast. She might also be found gaming, watching movies, hiking the local nature preserve with her husband and two kids who also serve as willing guinea pigs for her many culinary experiments.